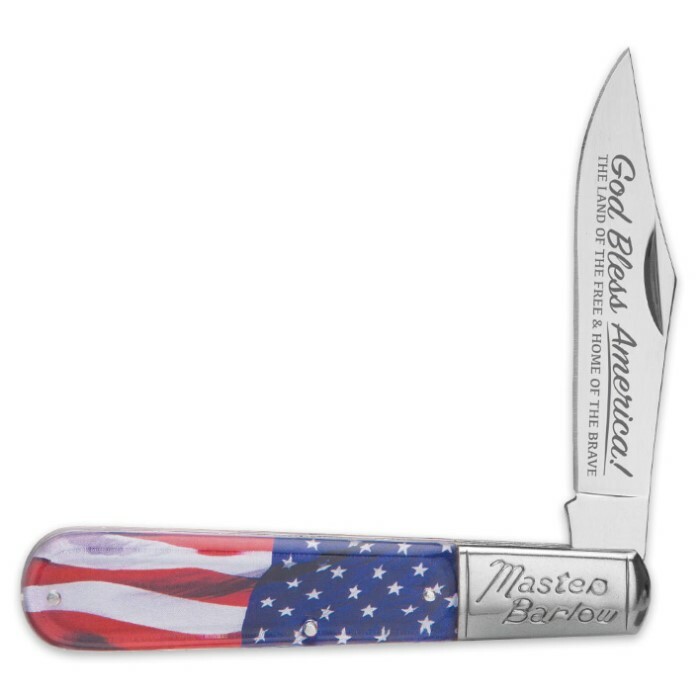 USA Flowing Flag Master Barlow Pocket Knife | BUDK.com - Knives & Swords At The Lowest Prices! 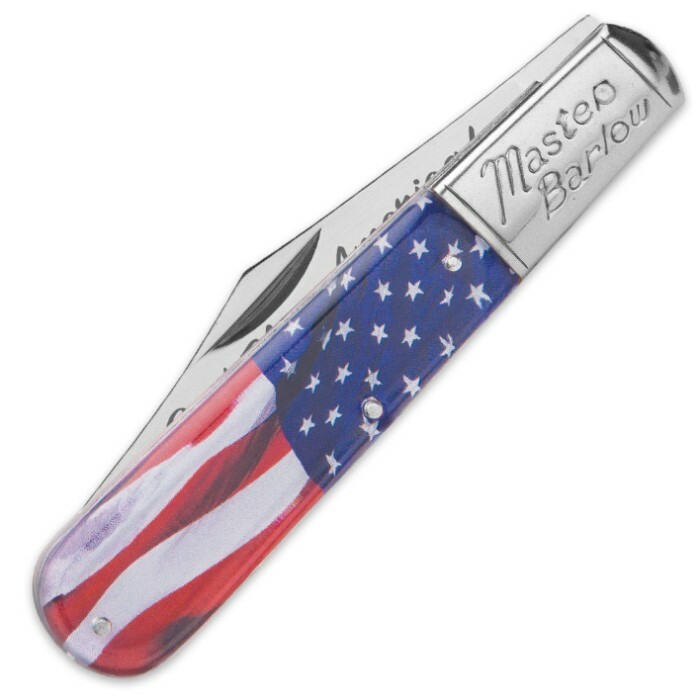 Show your patriotism proudly with our USA Flowing Flag Master Barlow Pocket Knife! 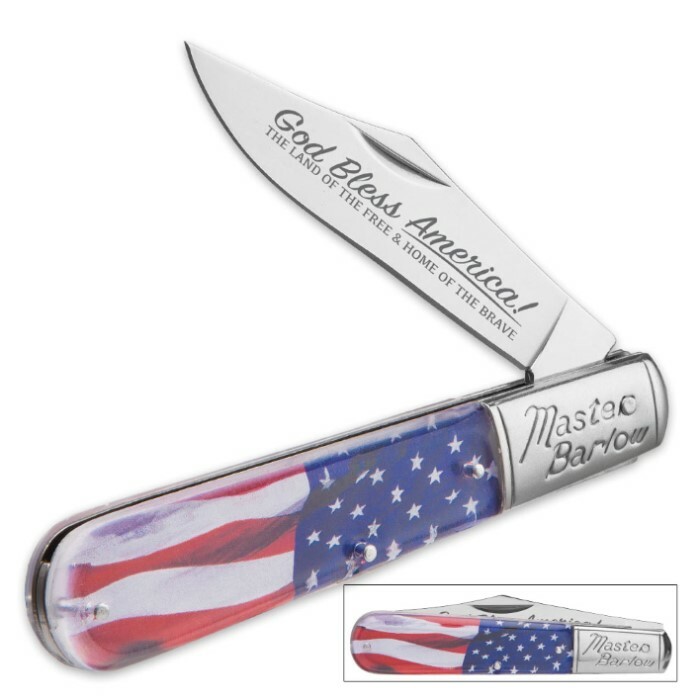 The acrylic handle has a beautifully rendered American Flag flowing down its length and mirror finished silver bolsters. The 4” blade is stainless steel and features a finger groove. It’s has a 5” closed length, which makes it a great statement pocket knife. Well made and many compliments from family and friends. Carry one with me daily and one I keep in my knife collection. Thanks BUDK ! !